The CAPC started out as a Centre of Contemporary Visual Arts, before becoming a museum in 1984. For forty years it has been firmly rooted in the present. This is a direction which the physical power of the Entrepôt—the former warehouse housing the CAPC—has inspired and splendidly represented for four decades, broadcasting an exemplary pioneering and international programme. Forged by contemporary cultures, the CAPC is a place for one and all, in which an apprenticeship in the challenges posed by culture proceeds by way of a discovery of the art of our time. 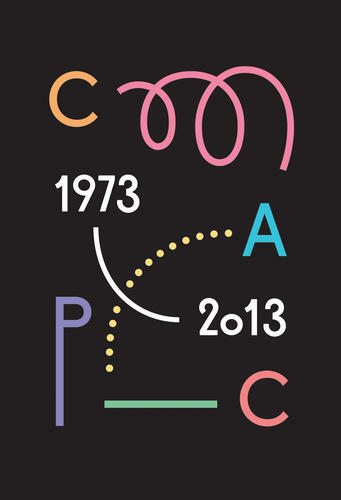 So 2013 is an important year for the CAPC’s history. Artistic and cultural programmes have been accordingly worked out. Past, present and emergence thus rub shoulders in an annual schedule based on variable geometry, with each project having its personal dimension and time-frame. This is in order to take a look, together with artists, performers, and philosophers in particular, at how archives, new forms and emerging concepts are all let the present talk. Somewhere between anniversary-exhibition, neo-monograph, re-invention and panoramic table, the CAPC is presenting--and staging--the contemporary spirit of images, reminding us of its role as a generator/incubator in the cultural arena as much as its status as a dream machine hooked up to the cultures of its time.